Natural clothespins that are 1" in length. bag contains 250 clothespins. perfect for all types of craft projects or activities. 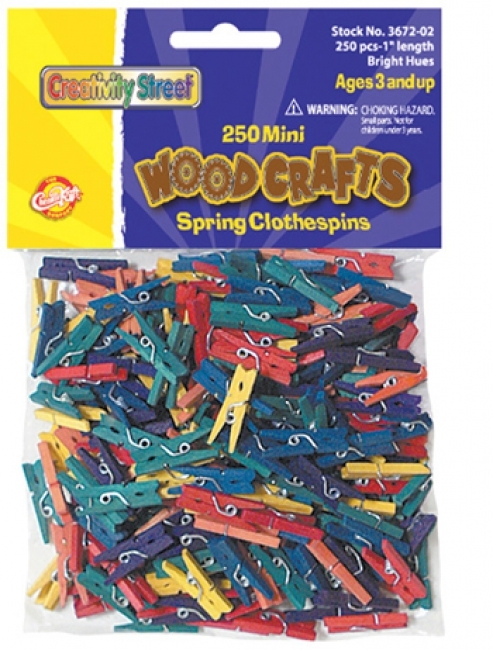 Bag contains 250 pieces of bright hues mini spring clothespins. Each clothespin is 1" in length. Bag contains 24 pieces of natural wood large spring clothespins. 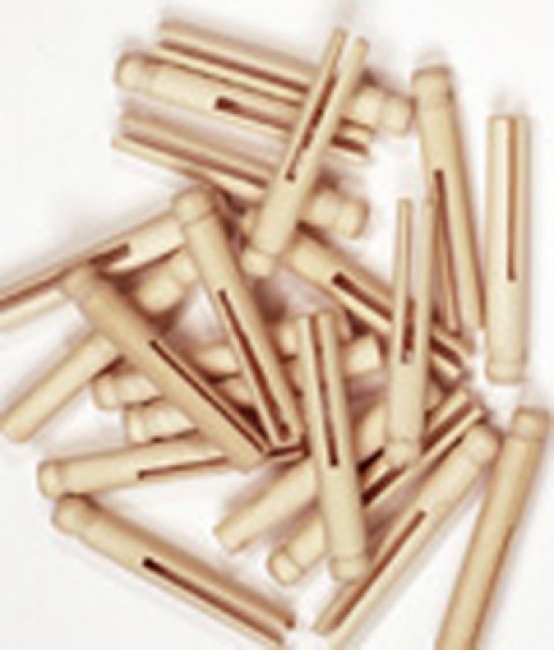 Each clothespin is 2-3/4" in length.